We are all deeply saddened and yet truly thankful for what our dear Mother, Nana, Great Grandma, Sister and friend to so many, has left us. It is difficult to summarize all the numerous accomplishments our Mom/Nana has achieved and the wonderful memories she has given us. Anne leaves behind her sister Betty Jaksa; her son and daughter in law Ron and Gail; Cathy McKee; her adored grandchildren; Carly, Josh and Freddie Bertwistle, Taylor and Brittany McKee, Anyssa McKee/Sean Allen and Rylee McKee/Spencer Haddow. Anne Rose Jaksa was born in Fibis /Timisoara Romania to Anna and Joseph Jaksa and came to Calgary with her Mom and Dad in 1928. Her sister Betty came along when Mom was 8 years old and when their mother died at the early age of 36, Mom then 16, was Betty’s lifeline. Life was difficult for so many at that time but especially for newcomers to Canada. Mom finished high school from St. Mary’s Girl’s School and later graduated from Garbutt’s business college. She started a career as the Credit Manageress for The Parisian Clothing Store on 8th Avenue until she had her children. She married the love of her life Chester (Ches) Lazlock in 1948 and it would be difficult to find another couple who loved each other as much as they did for 68 years until Dad’s death 2 years ago. Mom and Dad were very proud Hungarians and it was so important to pass on their culture to their children and grandchildren. Anne made it her lifelong goal to help other immigrants, she helped so many Hungarians arriving to Canada in 1956 by finding them jobs and homes and showed them Canadian customs. Mom along with Dad founded the St. Elisabeth Hungarian Citizens Club/Society which was a mammoth accomplishment that they sustained for 30+ years and it was a highlight for so many seniors (at times weekly up to 200) where they socialized and ate lunch that Mom made with her good friends every Wednesday. She also was so proud of the Hungarian Bartok dancers who she helped established and promoted and traveled with too many festivals in Western Canada. Anne was an executive of the Canadian Citizenship Council for 20 years, was integral in the formation of the Calgary Folk Arts Council, worked tirelessly for the CWL, wrote/compiled 2 cookbooks, hosted a television show that featured new Canadians from many countries, cut 3 Hungarian folk music records with the Hungarian Seniors, organized annual Hungarian fashion shows and it’s not a surprise that in 1976 she received an Alberta Achievement Award from the former Premier Peter Lougheed. It was an honour that Mom was deemed one of the 200 Remarkable Alberta Women in Kay Sanderson’s book “200 Remarkable Alberta Women”. It is difficult to summarize all the many incredible numerous accomplishments Mom has achieved over her 94 years but there was no doubt in her mind that her greatest treasure and accomplishment was her family. Mom loved Dad and her family more than these words could ever describe. To say “family always came first” seems like a huge understatement. There was a daily incredible three course homemade meal waiting for family and friends, open arms eagerly waiting to babysit and a shoulder that was always there to cry on and there were many many times those shoulders were needed. The last 6 years were extremely difficult for her. Her dementia surfaced quickly at that time and her health declined because of it. After Dad died 2 years ago her heart was broken. The staff at All Seniors’ Care at both Auburn Bay and at Sage Hill were amazing to Mom and Dad. There are too many to thank at All Seniors’ Care Sage Hill because over the last 2 years their kindness and love made Mom’s life as manageable and as pleasant as possible. Our family is truly grateful to all of them. 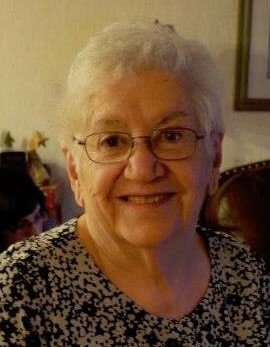 Mom you are at peace now, free from the anguish of dementia and I’m sure you are in Dad’s arms dancing the csardas and polka, baking some of your amazing deserts, making chicken soup and serving up huge delicious Hungarian meals. We will all miss Mom/Nana every day and treasure so many memories in our hearts. Saying you will be missed by so many every day is a huge understatement.